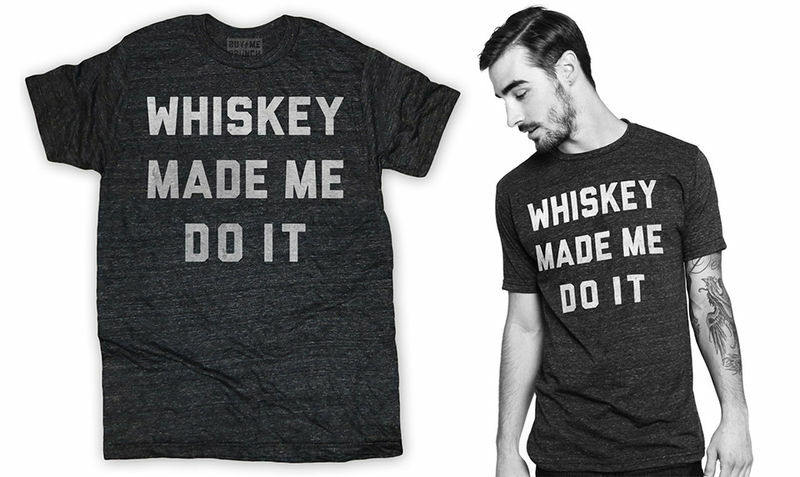 This humorous t-shirt designed by 'Buy Me Brunch' uses a graphic design technique to write the phrase "Whiskey Made Me Do It" on the front. The shirt pokes fun at the drinking habits associated with millennials, while revealing the common misconception that drinking during youth encourages bad behavior. In an attempt to combat society's presumptions about millennials and drinking habits in general, this t-shirt plays along with the accusation. The phrase states that the wearer may have done something that society deems wrong, but it wasn't the wearer's fault because they were just under the influence of alcohol. 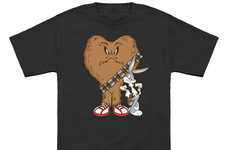 This tongue-in-cheek t-shirt is a new addition to an existing line from Buy Me Brunch. The shirts come in shades of grey and black. 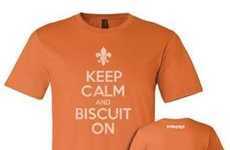 All shirts are available in t-shirt styles, long sleeves and sweaters.